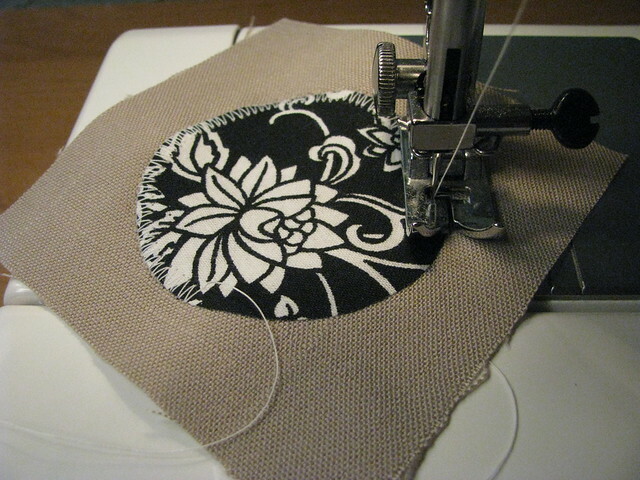 It wasn’t until I was about halfway through the applique on one side of my checkerboard tote before I realized making a few reverse stitches at the beginning and end of each circle was not the prettiest or most secure method. 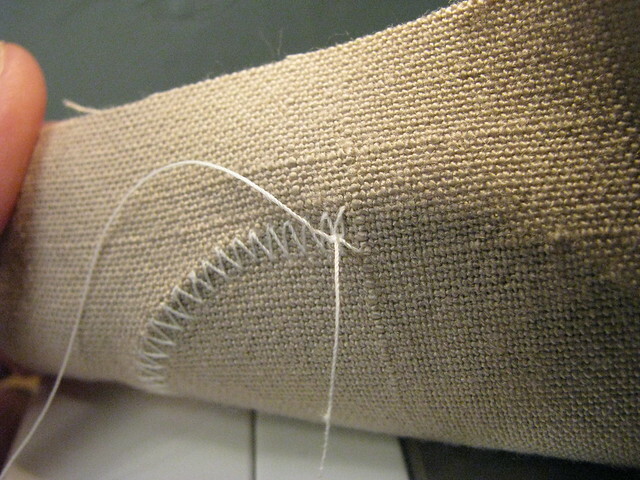 Some little threads were starting to unravel even while I was still sewing. How frustrating! I searched online for tips and found one so simple and yet so helpful, I needed to share it with you. 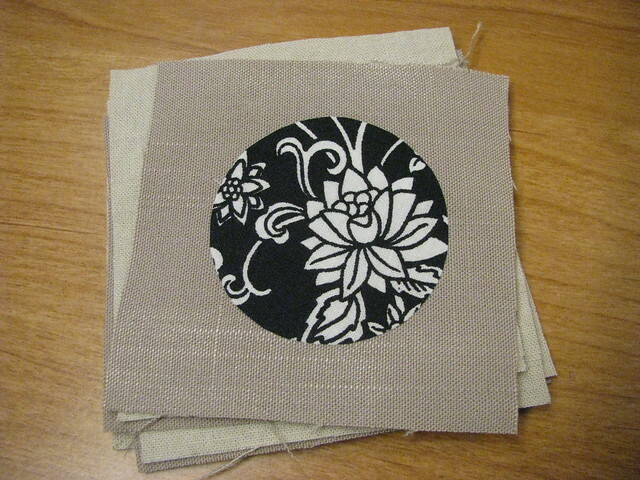 Start with your design cut out and adhered to your fabric with HeatBond or similar iron on adhesive. 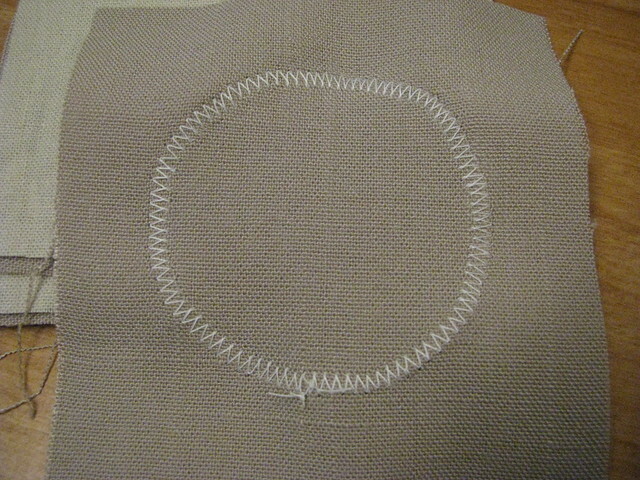 Begin stitching with a zigzag stitch, following the shape of your fabric. After you’ve gone far enough away from sewing machine’s foot so that it won’t be in your way, peek underneath the fabric and gently pull the thread from the back side. 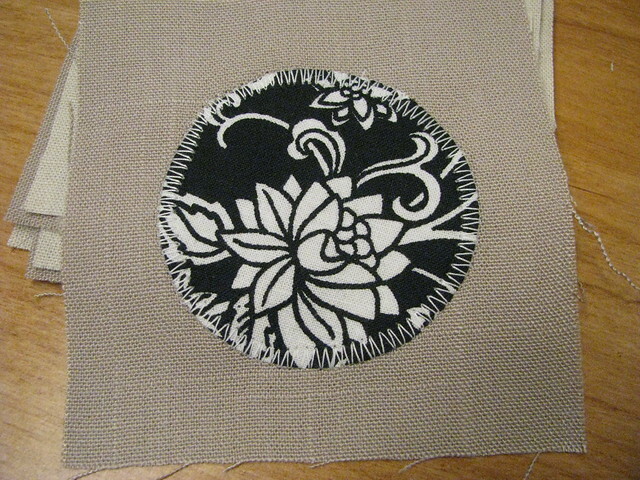 (Be sure your needle stays in the fabric to avoid shifting.) You’ll see a little loop of the thread from the top of the fabric appear, and you’ll want to pull this thread through to the back side. It may be easier to use the head of a pin to begin drawing it through. 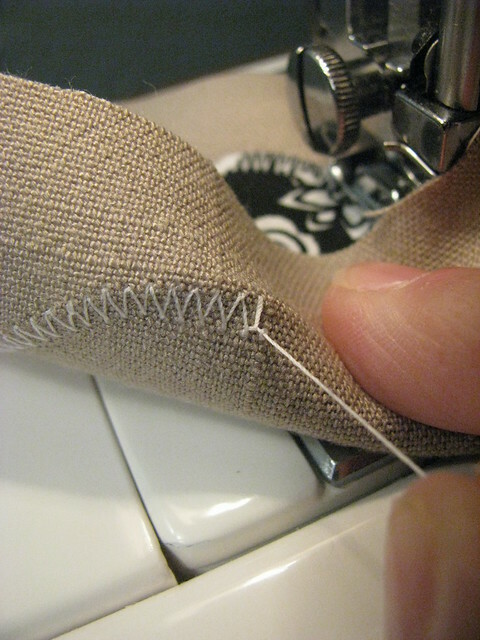 Then simply knot these two threads together to secure them on the wrong side of the fabric and trim the ends. Continue sewing to the end of your design and remove your fabric from the machine, cutting the threads from front and back. 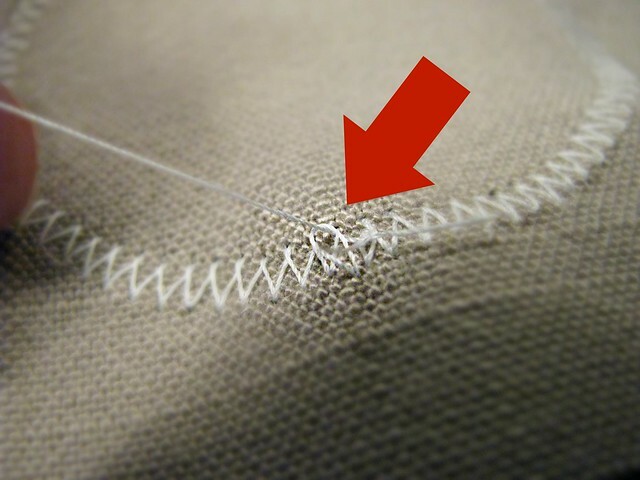 Leave enough thread to knot the ends, and once again gently tug the thread on the fabric’s wrong side so that you can see the loop of thread from the front, pull it through, knot to secure and trim the ends. This picture may show the “loop” a little better. i love tips like these :) thanks! You’re very welcome, Amanda! :) I know it’s just a simple thing, but it made such a big difference in the overall quality of that checkerboard bag, I just had to share.